Redefining the way you park! Dibz is tapping into thousands of underutilized spaces in office and residential buildings. By helping you and other drivers locate and reserve a parking space, you can benefit from savings made through our promo rates, as well countless hours saved when you know exactly where you will park. We integrated Waze into the Dibz Parking App so you can easily navigate to your reserved parking space with turn by turn navigation. Our goal is to provide make parking hassle-free, convenient and more affordable. We are also getting rid of parking tickets and the need to carry loose change for parking. With Dibz, the entire parking experience is a seamless one with payments for parking made cashless. Drivers can load up Dibz Parking Credits from their debit or credit cards, as well as through DragonPay at thousands of payment centers across Metro Manila. Drivers in Manila spend an average of 15 minutes searching for parking. 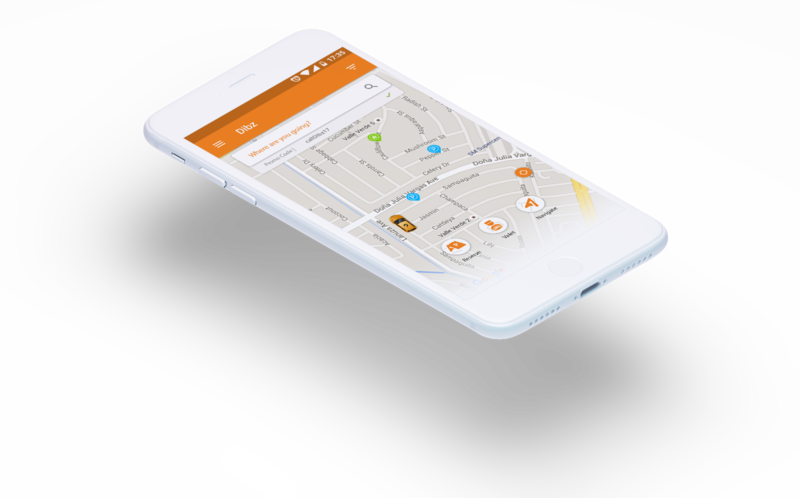 With DIBZ, you can instantly view and reserve available parking spaces in real-time. Know exactly where you’ll park before you arrive. Have you ever lost your parking ticket or card and had to pay a hefty fine for it? How about the moments when you realize you have no loose change and the parking attendant has no change either? With Dibz parking passes viewable on your mobile phone, as well as cashless payments, lost parking tickets and a scramble for change are a things of the past. Do you rent or own a parking space in a condo building? While you are at work, is the space just sitting empty? You pay for it 24/7 but only use it half of the time! With DIBZ, you can rent your parking space to other drivers, and monetize those hours when you are not home! Offset your expenses while helping other drivers in need of parking. In a hurry for a meeting? Don’t have the time to find and a parking space near your meeting destination? With Dibz Valet, you can request for a Valet through the app, to pick up your car at your meeting destination or at one of our Valet drop off points. One of our trusted valet drivers will meet you and park your car for you! When you need it back, just request for it through the app and we’ll have it back to you in 15 minutes time! Need to check out a parking space first before reserving? That is what the Navigate button is for. If the parking space is available for reservation on Dibz, you will receive real time updates on the availability of parking spaces in that location. You can also use this to navigate when your desired spot cannot be reserved. View a history of where you parked and how much you paid. This makes it much easier to compile your parking expenses as personal or for business- Paper receipts are difficult to keep and sometimes they fade before you are able to get reimbursed for your work related parking expenses, but on Dibz, you can access them at any time. If you live in a condo where you own or lease a parking space monthly, you can list it for rent on Dibz whenever you are not using it. Earn some money while you are not using your parking space while helping out other drivers in search of a parking. DibzPay is what you use to pay for your parking. You can load Dibz credits into your DibzPay account and pay for them through your debit or credit card. You also have the option to load up Dibz Credits through over the counter payments via Dragon Pay. You earn reward points whenever you top up your Dibz Credits, and you have the option to convert them to Dibz Credits. Parking just got exciting! When you park with Dibz, you are able to apply discount promo codes that will be emailed to you, shared on our social media or gifted to you by some of our retail partners!